Milk of Roses Toner is a Natural Skin Toning Lotion for Dry, Sensitive and Mature Skin Types from Wildcrafted Herbal Products. Milk of Roses Toner is a natural skin toner suitable for use on Dry, Mature and Sensitive Skin types, Wildcrafted's Milk of Roses Toner calms, hydrates and tones, without drying or irritating effects. 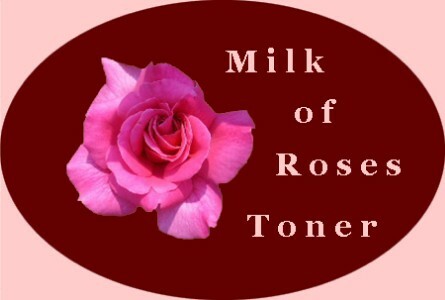 Milk of Roses Toner - Natural Skin Toning Lotion for Dry, Mature & Sensitive Skin Types.